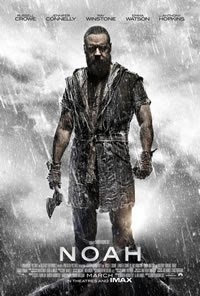 All over the Christian world, critics are rising up to discuss Darren Aronofsky’s new film Noah. Alan Kurschner says the film is straight-up blasphemy. Ken Ham complains that recommending the movie, at all, conflicts with Christian consistency in arguing against abortion. Barbara Nicolosi says that the film contains “dumb, oversimplified liberal utopia nonsense." The list of complaints goes on. I just saw it a couple hours ago. I loved the first 2/3 of the movie. It was a visual spectacle. We may never see the flood rendered in such artistic beauty and simultaneous horror again. There were scenes reminiscent of Gustav Dore's pictures of judgment. I also didn't mind the rock people. I look at this film as another flood story comparable to the Epoch of Gilgamesh. It isn't accurate, but it is an opportunity to think about God's wrath, about coming judgment, and about the truth that God really did wipe mankind from the face of the earth because of its evil. 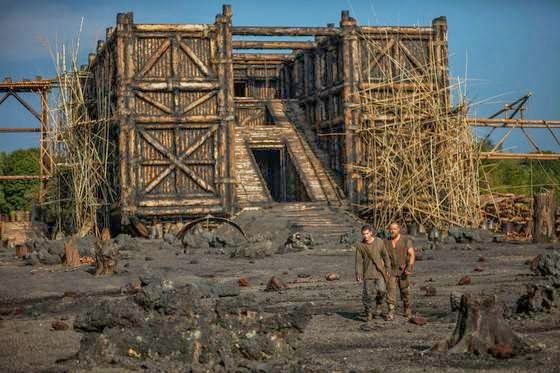 Also, the complaint that Noah is a left-wing "environmentalist" in the film ignores the fact that God placed Adam in the garden not to trash it and make it uninhabitable, but to have respect for it because he respected the creator. As Beale says in his New Testament Biblical Theology, Adam was placed in the garden to be a prophet, priest, and king. Part of his priestly duty was caring for the garden as well as the animals. The original environmentalist (properly defined, of course)! Frankly, the complaint that she makes calling it "oversimplified liberal utopia nonsense" shows that the one writing is more influenced by her own political tradition than what the Bible says about man's relationship to the creation. But the last 1/3 of the movie? A true mess. The decision to turn Noah into the film's antagonist was an interesting but horrible decision. Aronofsky must have seen it as an opportunity to explore Noah's motives or something, but it just came off all wrong. The story was already dark. Aronofsky made it unnecessarily darker. Although I sort of like the idea of a theatre full of nominally religious people looking for something "positive and encouraging" and instead being given an existential schooling. All in all, it was amazingly made, beautiful to behold, horrific in its depiction of judgment, and not such a great story by the end. Although I’ve been interested in seeing the movie for years (ever since I heard it was being made) I am not a fanboy. I am critical of the film, but I try to criticize in a balanced way, keeping in mind that it is a movie and taking it for what it is intended to be. The criticisms I am seeing from many conservative bloggers (whom I do love and respect as my brothers and sisters in the Lord) remind me of the person who goes into McDonalds expecting a healthy, delicious, well-balanced meal containing all four food groups and then storming out in anger when they wonder why everything is greasy and there isn’t any tofu on the menu. The desire for good food is good, but they are looking for it in the wrong place! Anybody who goes to see a movie (any movie)…a religious movie, a secular movie, a good movie, a bad movie… should not expect a heaping helping of truth. As with all art that is produced by sinners it’s going to get some stuff right and some stuff wrong (often intentionally so). Sometimes the art is self-consciously dumb like Andy Warhol’s Campbell’s Soup Cans. Sometimes it takes itself very seriously (think of Michaelangelo’s statue of David or every movie ever made by Christopher Nolan). Furthermore, to accuse this movie of blasphemy seems a bit confused. Perhaps somebody wants to accuse Darren Aronofsky himself, personally, of blasphemy, but does he actually believe the things being depicted in the film? I doubt it. It's fiction. It doesn't say "based on a true story" in the credits. In fact, the only things that this movie and the Bible share in common are a flood and a few characters' names. I don’t think Aronofsky actually believes there were rock giants who protected Noah while he built the ark. He is a filmmaker, not a documentarian. A visual artist, not a journalist. A storyteller, not an eyewitness. And in the case of Noah, his storytelling is—I would concede—not in top form. The director himself claimed that this is the "least Biblical biblical film ever made." Some have taken this as an opportunity to condemn the film, but in fact it shows that there is a self-awareness that this movie isn't trying to present the actual story, but a radical rewriting. In point of fact, this movie has more in common with Lord of the Rings than anything we find in the Bible. While I’m at it, I want to just mention in passing that comparing a book to a movie is like comparing a painting to a statue. It’s two completely different mediums—both art. To make a statue of the Mona Lisa might (and that's a huge "might") be interesting, but it would also be something completely different from the original—perhaps barely worthy of comparison. I’ve written previously that Christians expect too much from their music, and the same is true of movies. When you go to the Waffle House, expect waffles. When you go to the steak house, understand that they serve steak there. And when you go to a cinemaplex, whose walls are covered with posters with giant robots, wizards, and men shooting webs out of their hands, understand that this place is meant to do one thing well: entertain.